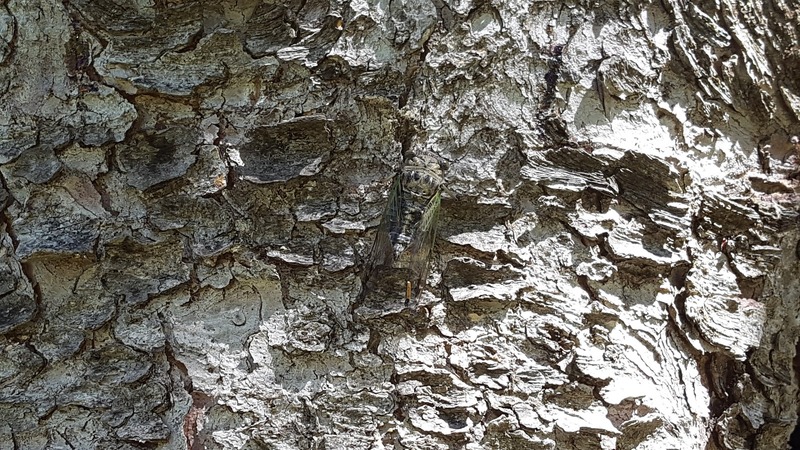 This time of year the cicadas are out buzzing in the tree tops. Cecadas are large insects that are known for the loud calls of the males or the buzzing sound. They come out late in the summer here in the Mid West to mate. They also molt and shed their outer shell. 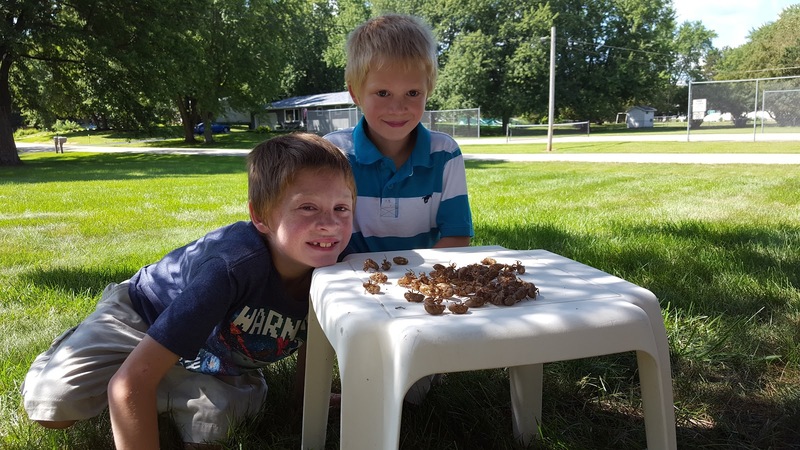 Over the weekend, Monkey found 50 cicada shells in Grandpa's yard. I had him and his brother pose to show them off. 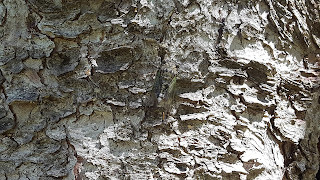 This is a live cicada. You have to look closely because he is camouflaged and blends in with the tree trunk. Monkey and Parrot with their collection of cicada shells. Visit these great blogs for more Wordless Wednesdays. Grab our New button for your blog so I know that you are linking up here. Check out these great blogs that participate in Wordless Wednesday each week. RCH Reviews Crafty Allie Blog Image-in-ing Kitty Partay Agent Mystery Case-Where Am I Wednesday A Savory Feast Gay NY Dad Wordless Wednesday Videos -Stephs Joy WW Joyce Lanksy WW Dominque's Desk WW Create-with-Joy.com Crafty Spices Be There 2 Day Simple Life Mom Blog Hop Silly Baby Blog WW A Star In My Own Universe Amandas Books and More Claire Justine- The Wednesday Bloghop Taylor Joelle WW Mary Denman WW Tots and Me Talbert Zoo My Little Drummer Boys WW Butchers Niche WW A Peek Into My Paradise Totally Terrific Tuesday Linkup My Pinterventures Merry Monday Linkup An Apel A Day Wordless Wednesday Our World Tuesday Adventures in Weseland Traveling Cats Keith's Ramblings Parent Club If I forgot your blog let me know in a comment and I will add you next week.